Fourteen crocheted squares perfectly illustrate the progression of Alzheimer. 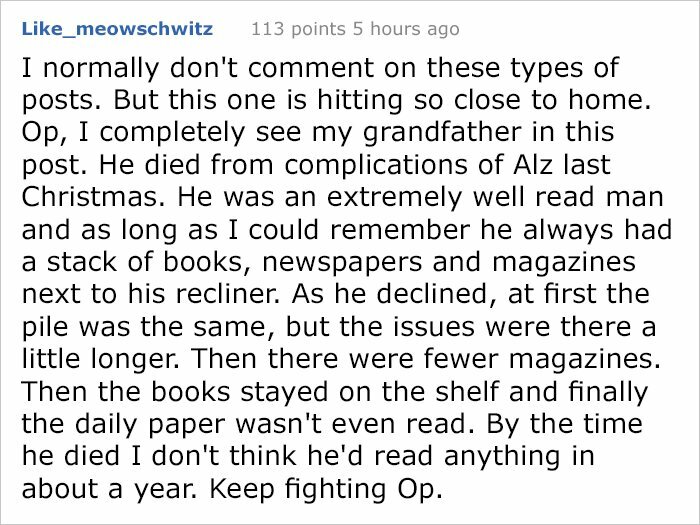 Even though more than 5.5 million Americans have Alzheimer, people are still not fully aware of it’s effects. This disease can change the person for the worse and that has a devastating effect on their loved ones. A 34-year-old Reddit user from Camden, New Jersey posted a heartbreaking picture that illustrates the progression of this disease in her own mother. 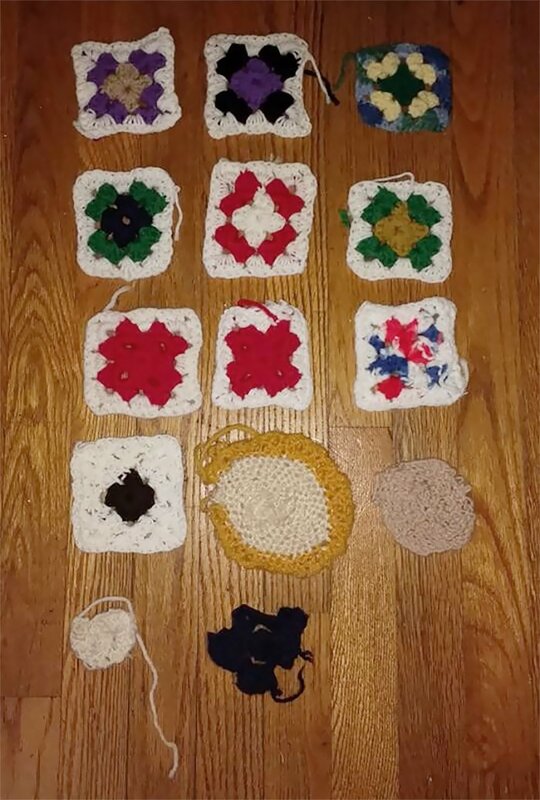 She made squares for a while, then the circles, then the little pieces of crochet, until she got to the point where she just carried around the needles and yarn in her purse. It has been a few years since she was able to speak and several since she was able to identify who I am. Following is her story in her own words. Her story had an overwhelming response. And people shared their own experiences. As it was a great representation of the disease. If you think someone you know and love may be showing signs of Alzheimer’s, or if you’re having trouble coping with a loved one already suffering, call the Alzheimer’s Association Helpline at 1-800-272-3900.